​Following the sudden and untimely death of Immanuel’s beloved Pastor Hans Haug on September 14, l980, Pastor John Schweitzer became the pastor of Immanuel Evangelical Lutheran Church and Marianne Haug assumed the role of principal of the Immanuel German Language School. In 1987, Immanuel Church celebrated its 195th Anniversary. The Rev. Lawrence Hand, Bishop of the Southeastern Pennsylvania Synod, attended the celebration. In 1992, Immanuel celebrated its 200th Anniversary. Immanuel began plans to enlarge the Church complex. The planning began under the leadership of Pastor Schweitzer, the Immanuel Church Council and the Building Committee. Plans were drawn to modify existing rooms and build additional space to accommodate the pressing needs of the congregation and that of the church staff. The work proceeded well and the last stages were completed in the spring of 1994. The results of this effort were a more adequate pastor’s office and secretary’s office, an additional bathroom which accommodated disabled persons, a well appointed church reception room, an enlarged lobby, a pantry room adjacent to the kitchen, and a choir room which doubles as an additional classroom. The installation of an elevator and a built-in incline at the rear entrance enable disabled persons to have access to the two levels of the church building. In the west side a second stairway connecting both levels was also added. In 1999, Marlene Stocks became principal of Immanuel German Language School. As enrollment increased, more classrooms and space were needed. The school was moved from the church premises to the Lower Moreland High School where there were more adequate accommodations. 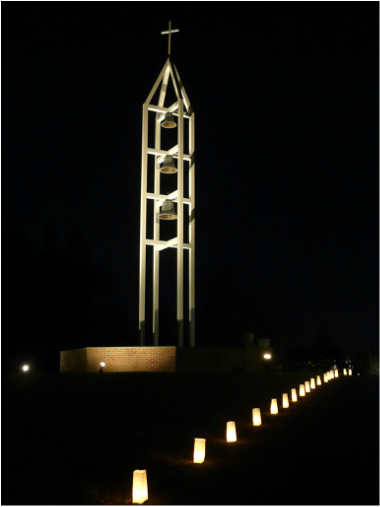 In 1999/2000, a Bell Tower was erected through the generous giving of the members of Immanuel and the dedicated efforts of Pastor Schweitzer and the members of the bell tower committee.